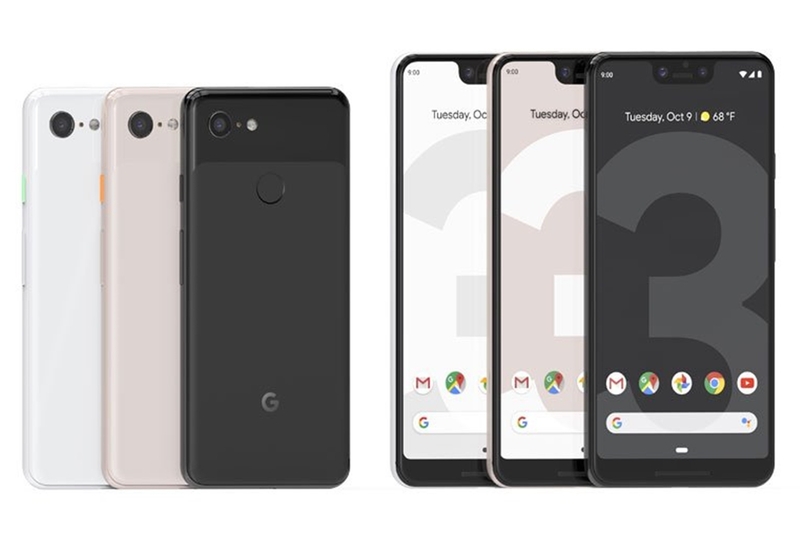 If we were to ask any tech-savvy person which phones were leaked or reviewed in their entirety prior to the launch, they would undoubtedly point at the Pixel 3 smartphones. The Pixel smartphones from Google are one of the highly anticipated devices, every year. The stock android with a flagship SOC coupled with the best cameras on any given smartphone are why the Pixels are one of the most awaited smartphones every year. 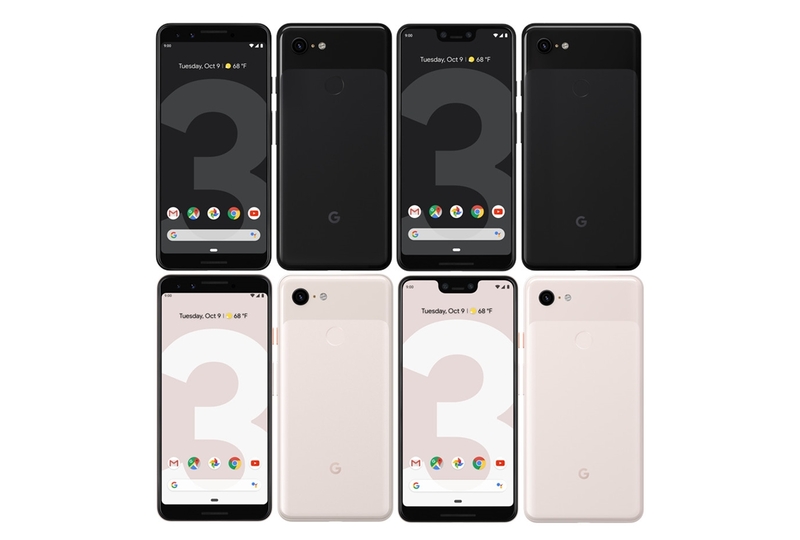 Just days before the launch, the Pixel 3 XL got leaked in all its glory- thanks to the hands-on review from Hong Kong-based tech reviewers. 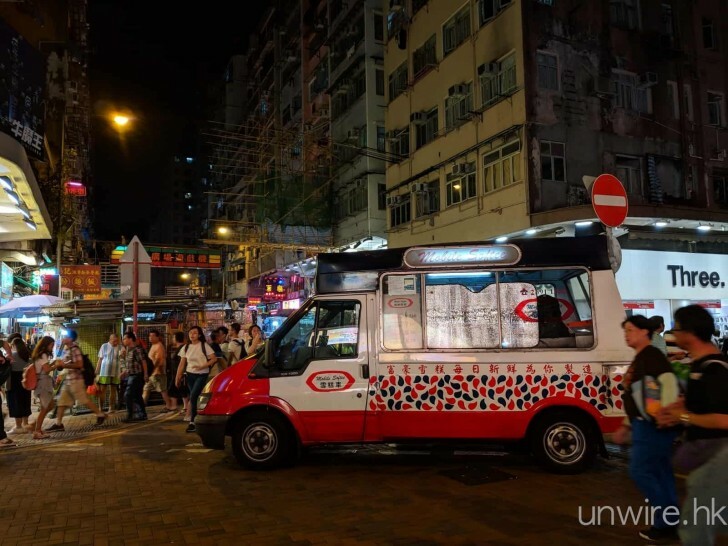 A retailer named WahPhone Digital in Hong Kong is selling the Pixel 3 XL at a hiked up price of HKD 15,880 or approximately USD 2,030. Engadget’s Chinese Editor-in-Chief, Richard Lai, has got his hands on the Pixel 3 XL and already has both written and hands-on video reviews of the smartphone. In the hands-on review, he talks about what comes inside the box, which includes a USB C to C cable with a USB C Power adapter, a USB C to USB A dongle and a pair of USB C earphones with a USB C to 3.5 mm dongle. Apart from that, the phone comes with a Qualcomm Snapdragon 845 SOC but sadly sticks to 4 GB RAM similar to its predecessor. 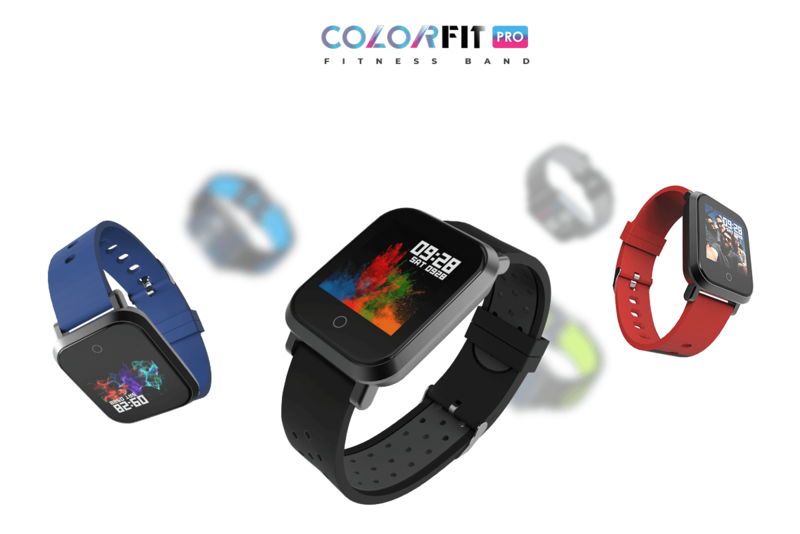 The screen is 6.3-inches in size and uses an OLED panel which has a resolution of 2960×1440 pixels. There’s the notch that we have seen from the initial leaks, which is obtrusively massive when held against other notched smartphones. 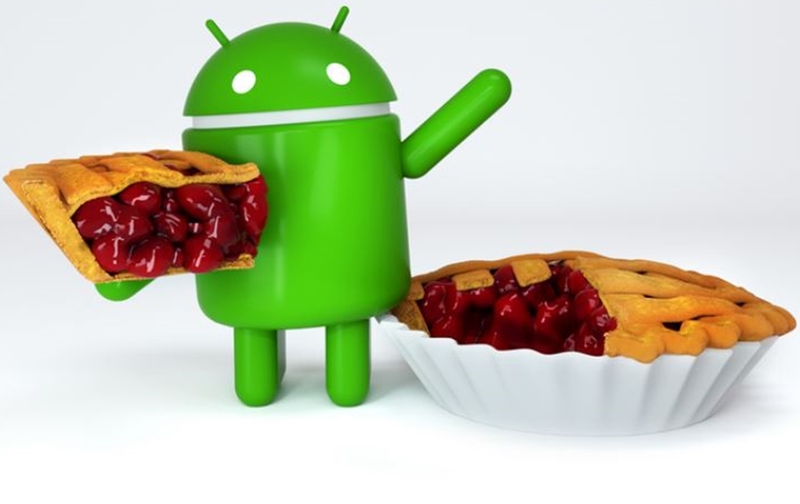 On the software side of things, the phone ships with the latest Android 9.0 Pie, which is not a surprise given it’s a Google device. While the phone also keeps the squeeze functions thanks to the flexible and squeezable metal frame on the sides that uses pressure sensitive ribbons underneath, to sense your squeeze. 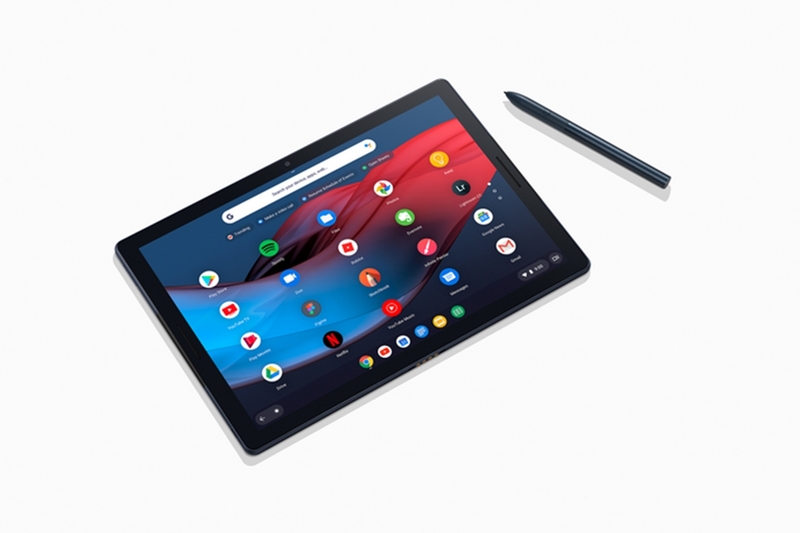 Along with the usual squeeze functions, the Google Pixel 3 XL also has the gesture-based navigation of the Android 9 Pie OS that we have seen on other devices as well. For imaging, Google sticks to the single camera setup on the rear without any wide or telephoto lens accompanying it, like other smartphones. The single rear-facing camera is said to be a 12.2 MP unit which can record videos up to 4K 30 fps. On the front, Google takes the LG route with dual selfie cameras of which the primary sensor is a standard 8 MP camera, while the second unit is a wide-angle 8 MP shooter, but the degree of field of view of the two cameras isn’t known yet. 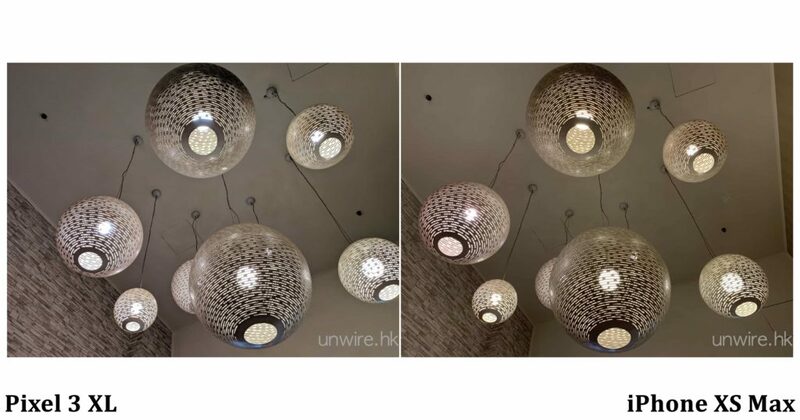 However, the most interesting review comes from a tech website named Unwire.hk, which is based out of the same island nation of Hong Kong. They have a full review of the device, albeit in Chinese. They’ve added a few samples to the review which compare the Pixel 3 XL against the iPhone XS Max. Just looking at the photos, the low-lights shots from Pixel 3 XL are significantly better due to the natural processing, and while the images from XS Max are good, they are unnaturally bright, blowing out the highlights at some places, with grainy shadows, on the other end. 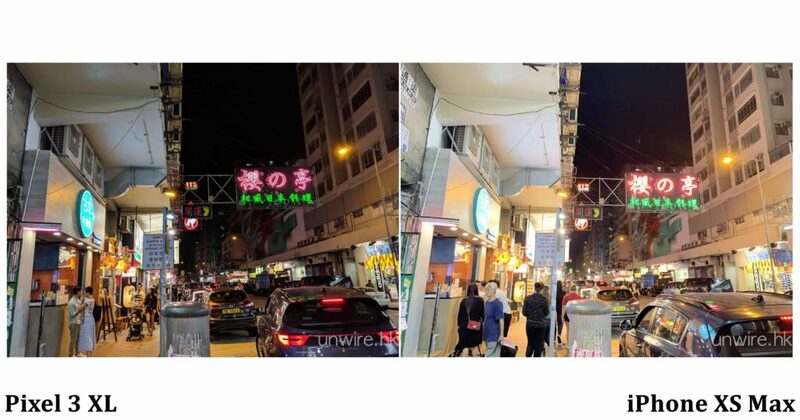 Also, the night sky has a bluish tint with bits of red in pictures shot on the XS Max, while the Pixel 3 XL images have pitch black night sky with the proper amount of sharpness. We think its due to the cooler color processing of the Pixel 3 XL, which isn’t the case with XS Max, which produces slightly warmer images. We’re just playing, there’s more news. 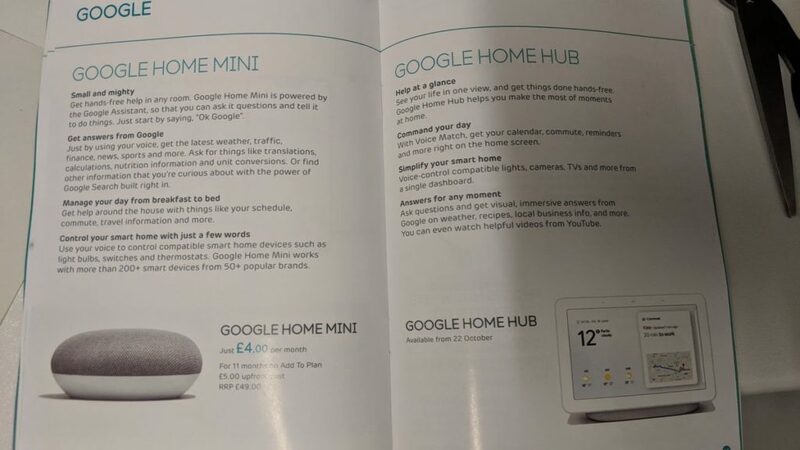 Another leak from a tech YouTuber named Jon Prosser shows a UK based magazine which reveals few other features and the pricing details of the upcoming Google devices. 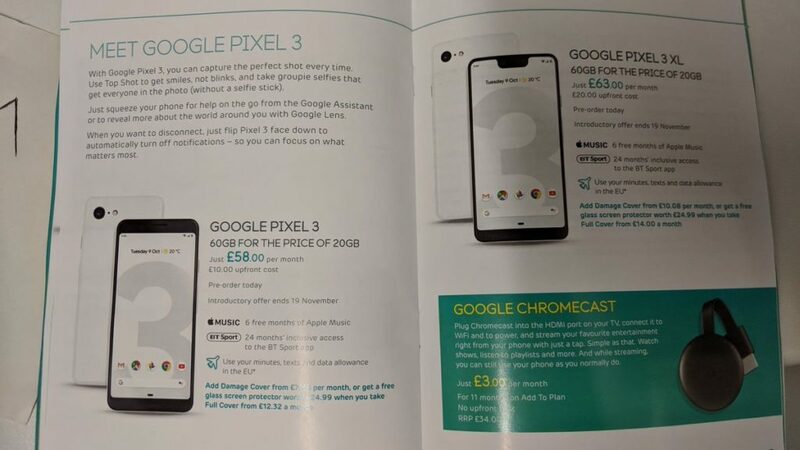 The magazine ad has carrier pricing details of the upcoming devices on EE, a British Mobile Network provider. It also talks about group selfies, which indicates the presence of the above mentioned wide-angle selfie camera. There’s also a new Top Shot mode, which is rumoured to be able to take images with smiles and no blinks. We think Google does it by taking multiple shots of the people in the frame and stacking all the photos with smiling faces while replacing the closed-eye images with the wide-open ones. If that’s the case, then it isn’t anything new, as Nokia did this back in their Lumia line-up of smartphones, wherein their Nokia Smart Camera App offered features such as best shot, action shot, let users remove unwanted things from the frame, as well as letting users select the best shot photo from the stack of images. Also, the ad stresses on Digital Wellbeing being provided with the Android 9, which allows users to flip their phones face-down to turn on “Do Not Disturb” mode. 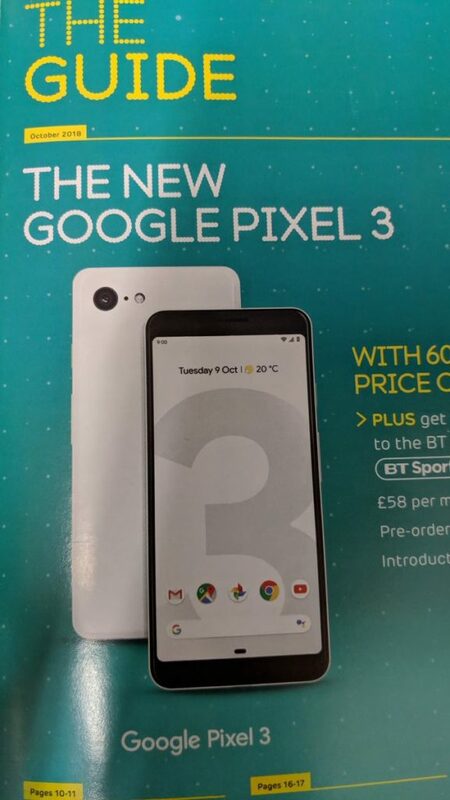 As for the pricing itself, the smaller Pixel 3 will be available for GBP 58 (USD 76/ INR 5,636 approx.) per month on contract, while the Pixel 3 XL will sell for GBP 63 (USD 82/ INR 6,121) per month on contract. Buyers will get six months of Apple Music subscription with 24 months of BT Sport subscription, as an introductory offer, which ends on November 19, 2018. 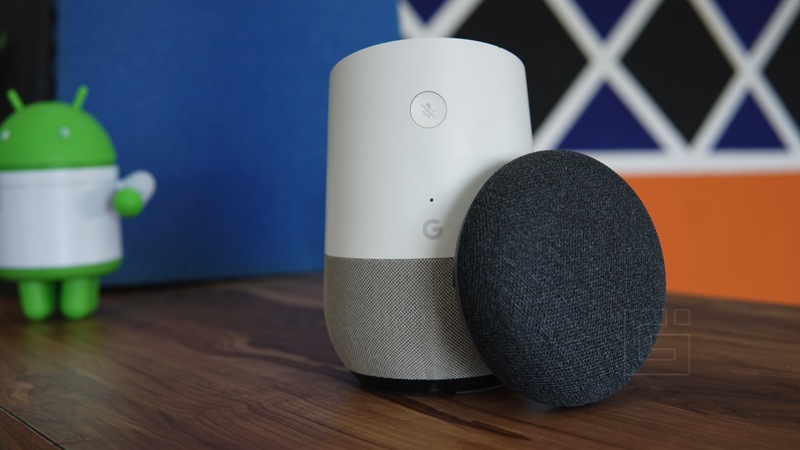 Apart from these, the advert also showcases a supposed upgraded Chromecast which is set for debut alongside the Pixel phones. 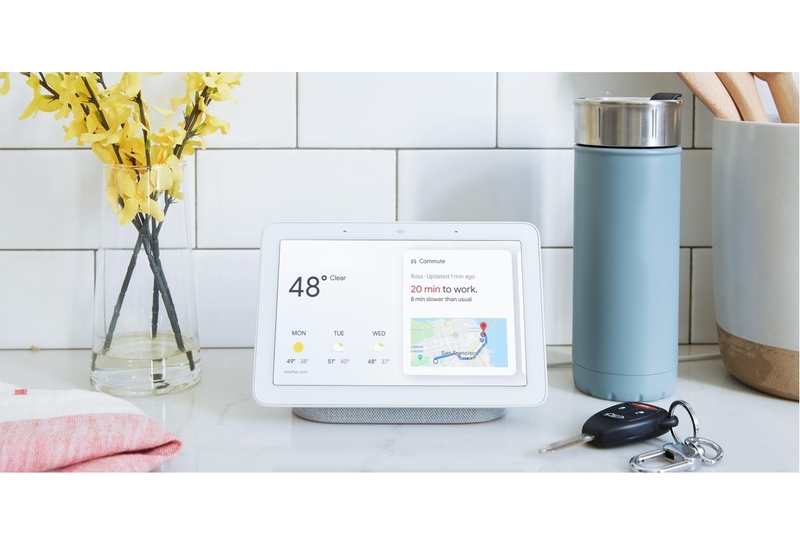 It also details a brand new Google Home Hub device, that will launch with other devices at the October 9th Google Event.